Pictured: Ed Woloszek with the Tata Xenon. 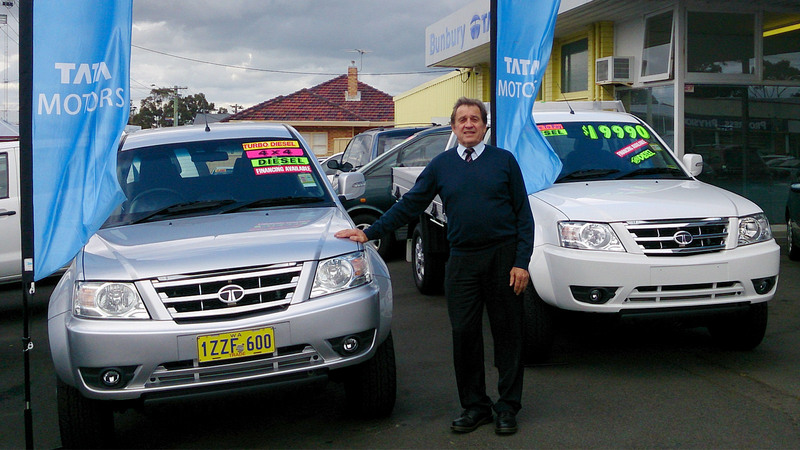 Newbreed Motors has recently been appointed the Tata Motors dealer to serve the Bunbury region. Headed by Ed Woloszek, who’s been selling cars in the Bunbury community for the past 34 years, the Tata Motors brand is the newest addition to his successful operation. Since those early days, the Woloszek family business has enjoyed solid growth and a well-earned reputation for excellent customer service. The Tata Motors site at 57 Spencer St Bunbury kicked off sales with the Xenon, an exciting new light commercial vehicle with a Cab Chassis, Single Cab Pick-up and Dual Cab Pick-up models and a choice of 4x2 or 4x4 drivelines. Xenon prices start from just $19,990 and they’re powered by a fuel efficient, powerful four-cylinder turbo diesel. With a payload of up to 1080kgs and a towing capacity of 2500kgs; it’s fast becoming a favourite with tradies and farmers. Inside, there’s cloth trim, air conditioning, Bluetooth, power windows, USB input with iPod connectivity, captain chair style armrests on the front seats, and remote central locking with immobiliser. Dual cab models also have satellite navigation and a reversing camera as standard. 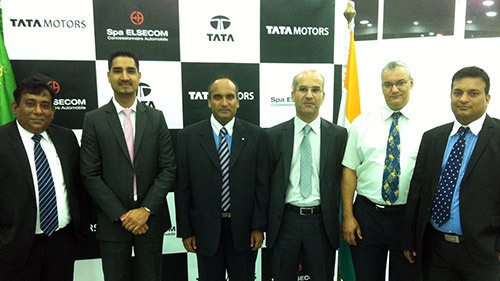 When asked why he had invested in the Tata Motors franchise, Ed said, “I previously had a Tata Motors franchise many years ago and with the new distributor and superiority of the products, I feel it will be well received into today’s market. “We have already had positive feedback from customers, including a local landscaper who loves the versatility of his Xenon”. The Woloszek family are generous supporters of the local community, including the Bunbury Men of Song, an all male choir for the past 15 years, as well as coaching and playing in the local football community in the past. Fusion Automotive Managing Director, Mr. Darren Bowler said - “We are delighted to welcome Ed Woloszek and his operation to the Tata Motors family. His operation will be a tremendous asset to our expanding dealer network and I know customers in the Bunbury region will benefit from the highest levels of customer service and satisfaction from Ed's sales and service staff”. Take a Tata Xenon for a test drive at Tata Motors in Bunbury, 57 Spencer Street Bunbury 08 9791 8666. For more information please contact Ed Woloszek at Tata Motors in Bunbury 08 9791 8666.